Last weekend, we took a road trip to Cleveland. 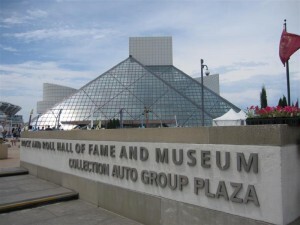 At the top of our itinerary was the Rock and Roll Hall of Fame, which holds the world’s largest collection of rock music memorabilia. I’m the one at the Hard Rock Café looking at each artifact in the display cases, reading the back story on each item. I’m fascinated, especially by the costumes. The immense collection at the “Rock Hall,” as it’s affectionately called by locals, puts those displays to shame. 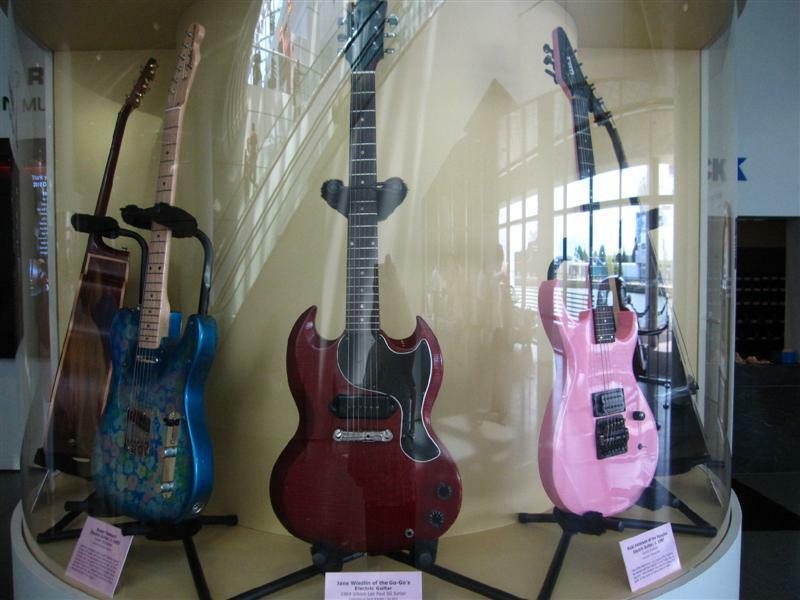 Before you even get inside, there’s an exhibit of guitars all painted in different themes. The kids loved hamming it up. Also in the front courtyard was Johnny Cash’s 1979 tour bus. The interior was a delightful tribute to the decade, complete with powder puff blue velour upholstery. 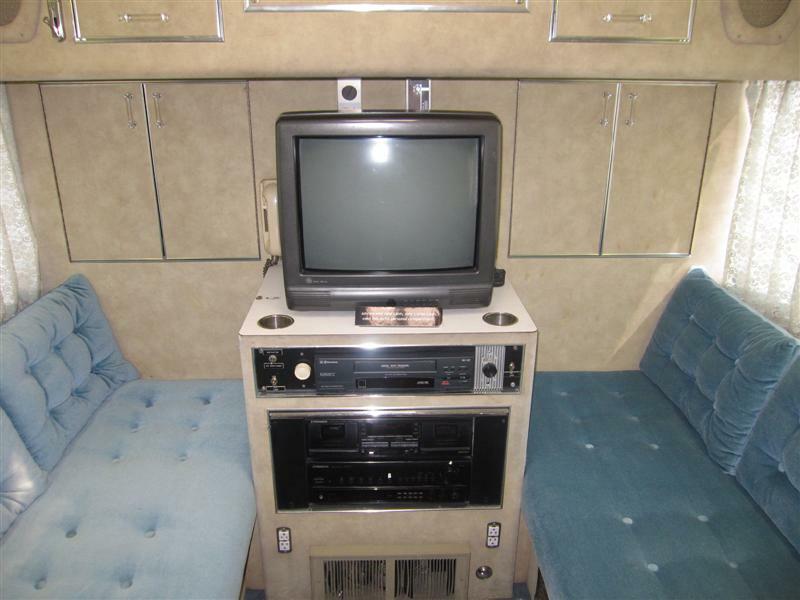 Johnny Cash's tour bus was pretty high-tech, by 1979 standards. It had a VCR! Inside, the collection of instruments, sheet music, albums, and especially the costumes, did not disappoint. In fact, The Girl’s favorite part was the costumes, particularly the Katy Perry get-up from 2011. (She knows nearly all the words to “Firework” and can give them a good belting.) The collection of six Stevie Nicks costumes from 1979-1983 also appealed to her in all their flowing, feminine charm. Overall, The Boy was more interested in this place, both because he’s older, and because he appreciates music. He’s been taking guitar lessons for about three years. He is not a prodigy, but he sallies forth because he does enjoy mastering a piece of music. I try to keep him interested – because I know it will help him appear well-rounded on the college applications – by promising that if he brings his guitar to college, he will get more dates. In any case, he enjoyed looking at the custom guitars on display, particularly Jimi Hendrix’s 1967 doubleneck. I liked this display case of guitars specifically from female artists, like Susan Tedeschi and Jane Wiedlin of the Go-Go’s. The museum offers a lot of sensory overload, especially in video format. The Boy was transfixed by the videos of concerts, news reels, and documentaries of famous musicians. He and I sat a spell to watch one on the Beatles. We learned about how Ringo Starr named the song “Eight Days A Week” from an expression used by his hard-working driver. He later told Matt that the video was “cool.” High praise, indeed. The level to which you enjoy Rock Hall depends on how much you love music. The displays are largely passive, so it’s hit-and-miss with pre-schoolers. Matt and I would have enjoyed it more without the kids in tow, truth be told, so we could enjoy a more leisurely stroll down Memory Lane. 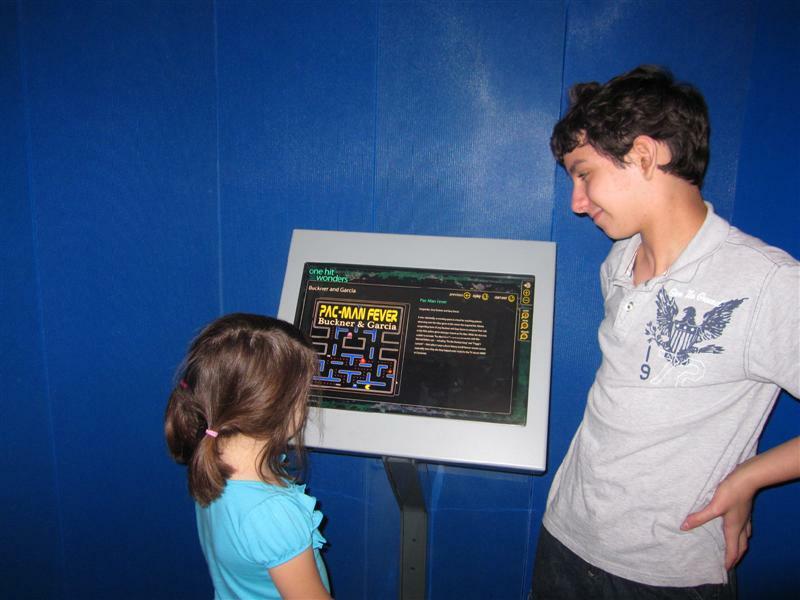 TIP: Begin your visit by watching the 12-minute “Mystery Train” video in the Mystery Theater, which sets the tone for what you will experience throughout the museum. Using just music and no script, it provides the story of how rock and roll evolved from the blending of several music genres – jazz, country, bluegrass, gospel, etc. – and brought to the public forefront by Elvis Presley. Where We Stayed: During our visit, we stayed at the Residence Inn in downtown Cleveland. 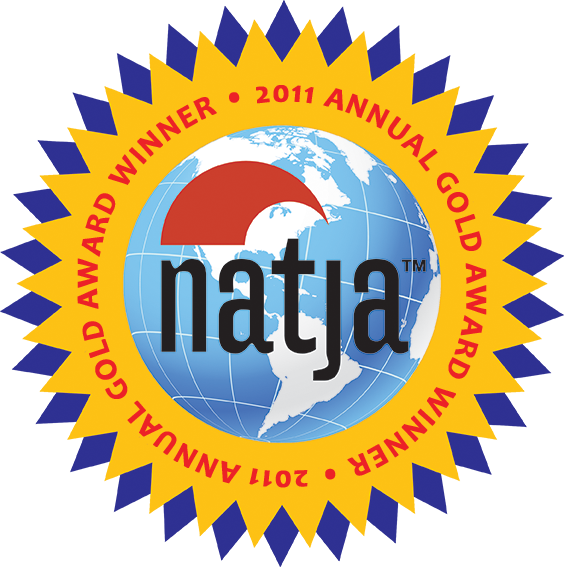 Not only was this hotel well-located, it afforded us a chance to really spread out in a two-bedroom suite with a kitchenette. I found out that it’s a historic building, and has been a hotel since 1898, which explains the spacious rooms and hallways, high ceilings, billiards room, and attractive architectural details, like stained glass ceilings in the public spaces. Disclaimer: Our visit to Cleveland was hosted by Positively Cleveland. I loved the rock and roll hall of fame!! My favorite was the recordings of influences on an artists’ music you could listen to. I would love to have access to that data base from home. The science museum next door was cool, too. Did you see the huge red rubber stamp on the lawn of a govt. bldg? Glad we got this post as an icebreaker before bringing out the Big Guns with the rubber stamp post 🙂 Kind of aging yourself with a few not-so-subtle clues in this post (i.e. Go-Gos fan). This place sounded like a worthwhile stop in your never-ending quest to visit the World’s Largests…. Thanks for visiting Cleveland, Traci! It was wonderful getting to know you and your family. Come visit anytime! This looks like so much fun! Especially love the Johnny Cash part! 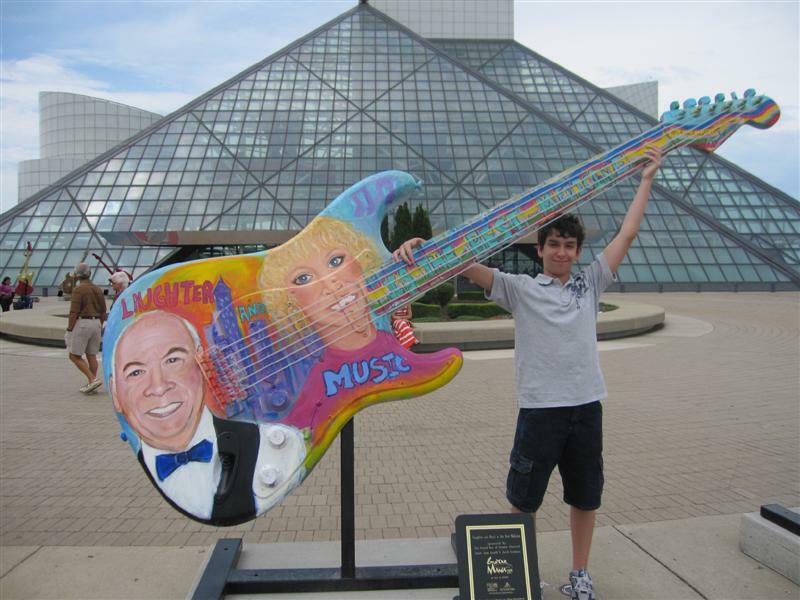 I visited the Rock Hall when visiting a friend in Cleveland one weekend. I loved it and could watch “Mystery Train” over and over again. I could have easily spent hours watching all the Hall of Fame concert footage. I think it is worth noting that they have so much material that they change up what is on display regularly so return trips bring you something new to enjoy. Thanks for sharing. Can’t wait to see the rubber stamp (and to scold my friend for not taking me)! I loved how effective the “Mystery Train” movie was in conveying the story with absolutely no script!